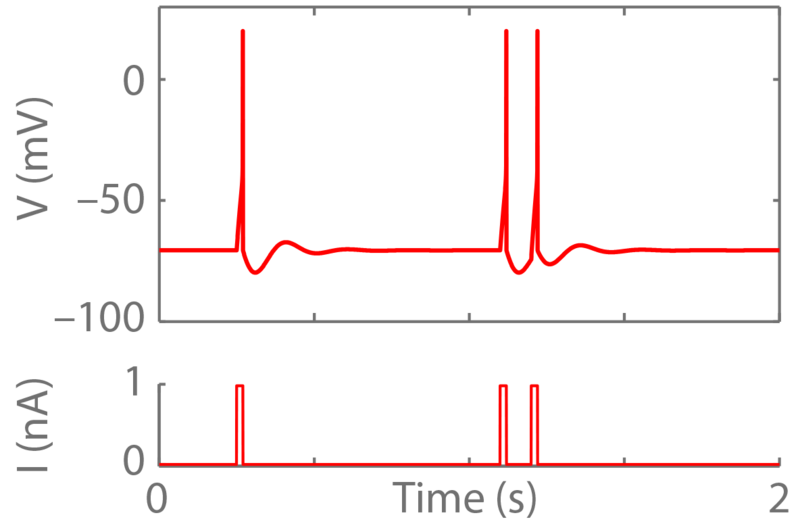 In this example, a tonic bursting response patterns is elicited for a constant current input. 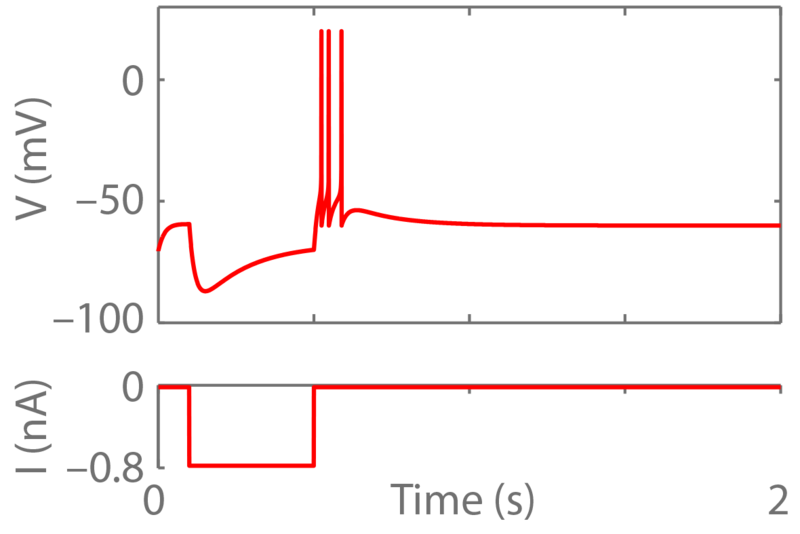 In this example, a hyper-polarizing current leads to rebound firing following inhibition. 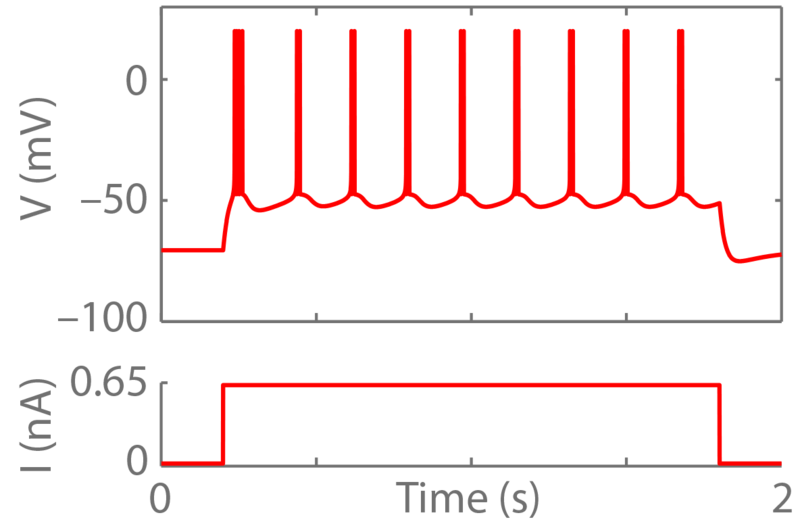 In this example, a current step leads to subthreshold oscillations and resonance phenomena. These plots were generated using this matlab code. Please only use under under GNU license. No warranty can be provided. Self-check for errors.